Social media often feeds into the discovery of new content such as news stories, and "discovery" is a search activity. Social media can also help build links that in turn support into SEO efforts. Many people also perform searches at social media sites to find social media content. Social media has become an integral part of daily life for many, with the advent of sites such as Facebook, twitter, linkedin. Social media marketing incorporates two vital elements of SEO which are content and links, with elements such as high ranking profiles available through popular social media websites. Once your website is up and running, it is important that you establish an Internet Marketing program. With targeting multipl visitors to your website, with the resultant increase in business. Our experts have the marketing skills to help you set up successful and measurable marketing strategies to promote your business and boost trade. WBizon social media marketing services will help you to understand the power of social media so you can drive more customers to your website. With a combination of varies social media strategies our professionals will help you to find the audience to your products/ services. First step is to closely examine your target market, your message, and how does it connects to your objective audience? What is the psychology of your customers? What ethnic and publicizing hooks are best to attract them? After strategies are developed and placed in to their functionality our social media marketing professionals will develop creative respond to your product so it could be imbedded to be marketed throughout varies streams (facebook marketing, twitter marketing, linkedin...) including a compelling call for your customers to act on. 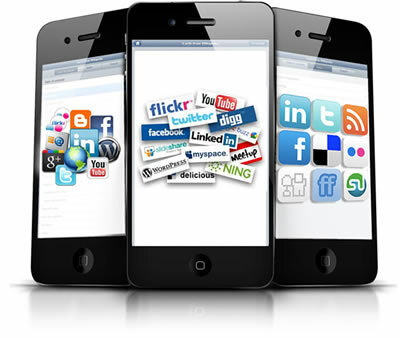 WBizon social media marketing is build to infuse the most valuable kind of features in to your company's visibility. For more information about our Facebook marketing, Twitter marketing, Linkedin and social media strategies, please call us - we’ll be happy to answer your questions.